We’re loving our DIY’s this week with two inspirational projects for you. First up this oh-so-romantic hair slide overflowing with the prettiest blooms.We found it over on Green Wedding Shoes and was crafted by the talented Juniper Designs – whether you choose to wear one yourself or adorn your flower girls or maids with some pretty blooms, investing in this tutorial will be well worth the effort. Our second DIY is this glitzy ampersand, perfect for those looking to jazz up their initials. 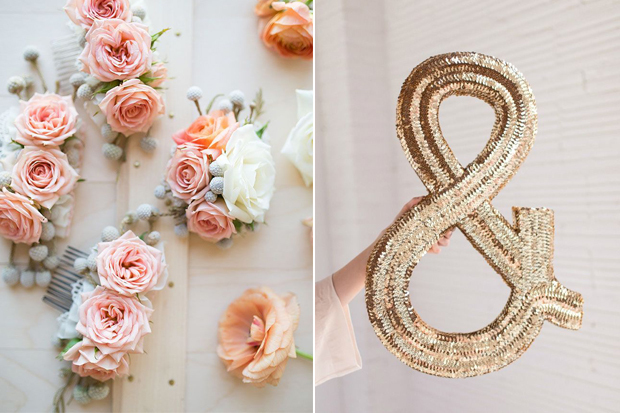 This simple DIY can be applied to any letters and will perk up your wedding décor with its fab sparkly finish. Speaking of sparkles, shimmer and shine in this fab gúna from Karen Millen, perfect for hen or day after celebrations. And get your flower girls in on the action with these adorable shoes from Monsoon! Lastly, we were really taken with this whimsical wedding over on Style Me Pretty where the bride and groom lined their guests’ chairs with musical instruments and cute little flags to use as they made their ceremony exit – so cute!! It could easily work for couples making their big reception entrance too. 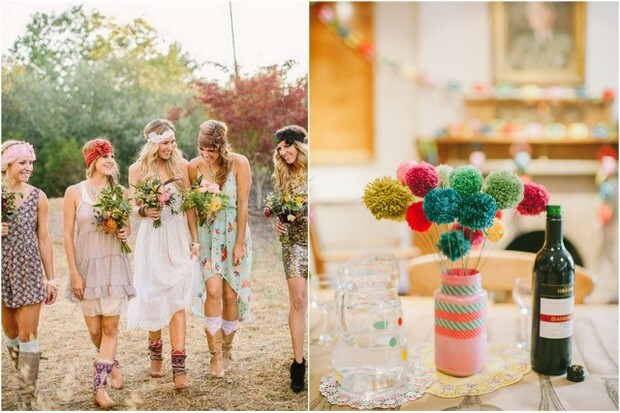 Find the perfect wedding suppliers in Ireland to help you to create your perfect day!